I went into prodromal labor on Wednesday night (two days before the birth), and wasn't consistent enough with my surges to go to the birth center (Roots Community Birth Center). I didn't get much sleep Wednesday or Thursday nights - and, without my HypnoBirthing techniques, I don't know what I would have done. My doula also spent Thursday night with me, and her familiarity with HypnoBirthing and overall attentiveness and knowledge was a true gift. (I see why labor outcomes are more positive with doulas!!). When I finally did go to the center for an assessment (my membranes hadn't released, so I wanted a cervical check), I was at 4cm opened. After an hour and a half of Benadryl-induced 'somewhat-sleep' at the center, we did some Spinning Babies techniques and the surges really started to ramp up! Six hours later, H was born!!... Completely naturally and unmedicated; received into her fathers hands, placenta born still attached, observance of a golden hour of bonding, very little postpartum bleeding on my part - it was all we wanted and more! I can't tell you enough how much strength and ability to have the birth WE wanted came from the HypnoBirthing class you taught us. Especially as a first time mom, not knowing what to expect but having the grace, knowledge and faith to surrender to the miracle of birth. Especially a natural, out-of-hospital birth. From being able to counter my own family's concern/fear to being out-of-hospital to the moment-to-moment passage of each surge as they literally took hold of my body in their unrelenting series of rushes... I had tools to use from HypnoBirthing class! 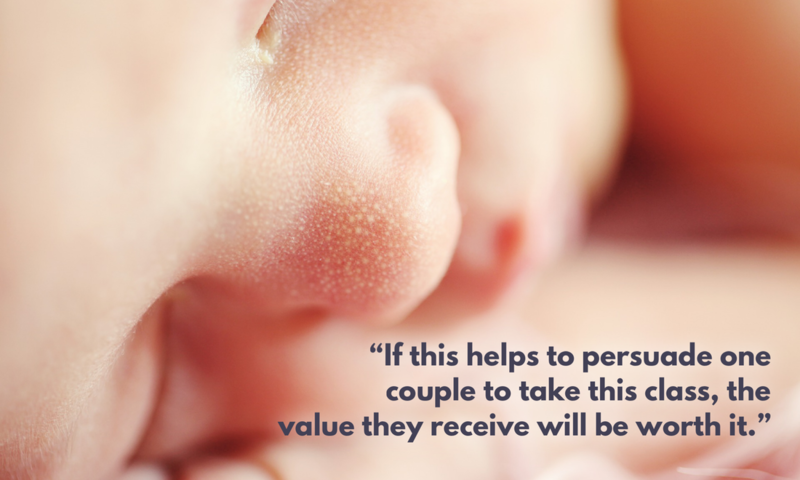 The cost of the class was hands down the best, most comprehensive investment we put towards our birth preparation. If this helps persuades one couple to take this class, the value they will receive be worth it. They say a woman remembers her birthing experiences for the rest of her life, and you helped ours be one of pride, strength and fearless love. Erin Stertz-Follett, Flutterby's Owner, is a Certified Consulting Hypnotist, Certified HypnoBirthing® Educator, and Certified Birth Doula who has taught and assisted hundreds of families. Feel free to email her at erin@flutterbybirth.com with any questions! The data has been mined and I am happy to be able to provide an updated graph with cesarean rates for Twin Cities hospitals through 2017! Item of note: This data reflects cesarean rates for each hospital as a whole. To get your provider's specific rate, please ask them directly. Also be sure to ask what the rate is for their practice overall (if they share call with others). Then, ask them why their rates are what they are! Use the slider bar at bottom to view hospitals that fall within a certain range. Use the buttons at bottom to show only those hospitals that fall at or below the Twin Cities average; or show all! ​Sharing is Caring! Please use the social share buttons to share on Facebook, Twitter, or Pinterest! Flutterby is located in the Minneapolis, MN area and provides services and classes for the childbearing years and beyond. "We truly felt empowered in our birth and it was such a positive experience!" I woke up early Saturday morning feeling like I was peeing in my pants. I wasn’t exactly sure what was going on, but thought it might be something with my bag of waters. I let Andy sleep a bit longer and tried to go back to sleep for a little bit. After a while, I woke Andy up and told him we probably should head home because I thought the baby might be coming. We took our time and made breakfast and said goodbye to family and then headed home. It definitely was my water (aka "membranes releasing") because I leaked all the way home! We got home and it was a beautiful sunny day. We had the most wonderful, quiet day at home. We went for a walk, took naps, showered, ate food, etc. I eventually got to the point where the surges were more noticeable. We finally called the hospital (we delivered at United) late in the afternoon and they asked us to come in. My surges were right on track with the guidelines you gave us for when to go in, so I was happy to go in. They admitted us when we got there and we ended up in the room with the tub they use for water birthing. I spent the next number of hours in the tub, in bed, and moving around a bit. We had the birth affirmations playing throughout the birthing process and they were so helpful! I had no idea what time it was or that the doctor was even in the room when Cohen was born. We had the most wonderful skin to skin right after he was born and he latched so well and ate like a champ right from the start. Our nursing staff and OB were amazing and they supported us in all of our birth preferences and didn’t push anything. Cohen is such a happy, content kid and we love him more than anything! Thank you again for all you helped us with! We truly felt empowered in our birth and it was such a positive experience! Sharing is Caring! Please use the social share buttons to spread the joy from this story on Facebook, Twitter, or Pinterest! 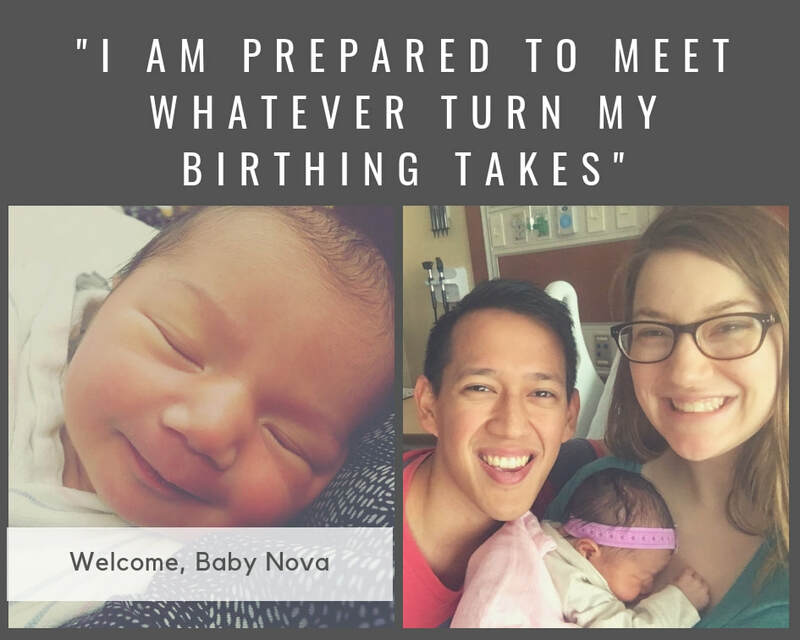 This mom's birth story highlights the importance of preparing your mind and body, building your birth team, and believing in your own power. Ashley with her baby just two hours after birth! I decided to take HypnoBirthing®, with my primary intention being to avoid the interventions I had with my first birth experience. The course and our instructor, Erin, connected me with the local birthing community, which in turn helped me find a doula and even change providers from an OB to midwives. Rather than take classes to be informed about what would happen to me, I was holistically empowered to make decisions about what could happen. In a sense I took back control. HypnoBirthing® gave me tools that resulted in a positive and healing birth experience the second time around. I went into labor feeling strong, calm, and confident because throughout the pregnancy, I had a team of like-minded professionals who believed in me, my vision, my needs, and my desires. I felt free in expressing what was important to me. Rather than “allowing me to try,” HypnoBirthing® and my birth team helped me to succeed. Our beautiful daughter was born via VBAC (vaginal birth after cesarean), and I know that without HypnoBirthing® and all of the knowledge and tools I gained, I wouldn’t have been able to accomplish it alone. I will be forever grateful that I met our daughter in a moment of joy and triumph rather than fear. Thank you so much Erin for helping me change my narrative into a success story. Sharing is Caring! Please use the social share buttons on the right to spread the joy from this story on Facebook, Twitter, or Pinterest! Sweet Baby Nova's HypnoBirthing Birth! 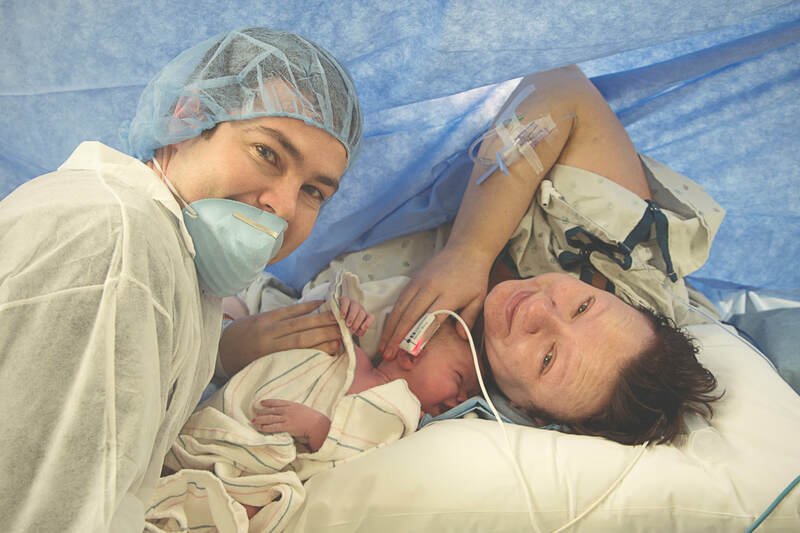 Many thanks to this first-time mom for sharing her triumphant birth story after a lengthy, medically-necessary induction! Our little girl, Nova Therese, was born on October 6th after a labor induction due to preeclampsia. I believe that HypnoBirthing® made a day and night difference between the birth that I had, and the birth experience I could have had! We were planning to have a home birth, and everything was set and good to go until my 38-week appointment, when I found out that I had preeclampsia. Everything changed in an instant and we found ourselves having to completely change our birthing plans and go to the hospital that day to get induced. Though I was upset, I was able to remember my Birthing Affirmations, and pretty quickly accept and step into the change that was about to happen. My induction took three days, with the last full day being on Pitocin and having very intense surges toward the end. If it weren’t for the things I learned in HypnoBirthing®, and the way I practiced daily, I don’t think I would have made it three whole days. Honestly, I was pretty much "losing it" at the end, but managed to have a completely natural, drug free birth (aside from a little bit of nitrous)! All of the nurses and midwifes that I had through those three days were very impressed with how calm I was, and how I was handling the intense surges from being induced. 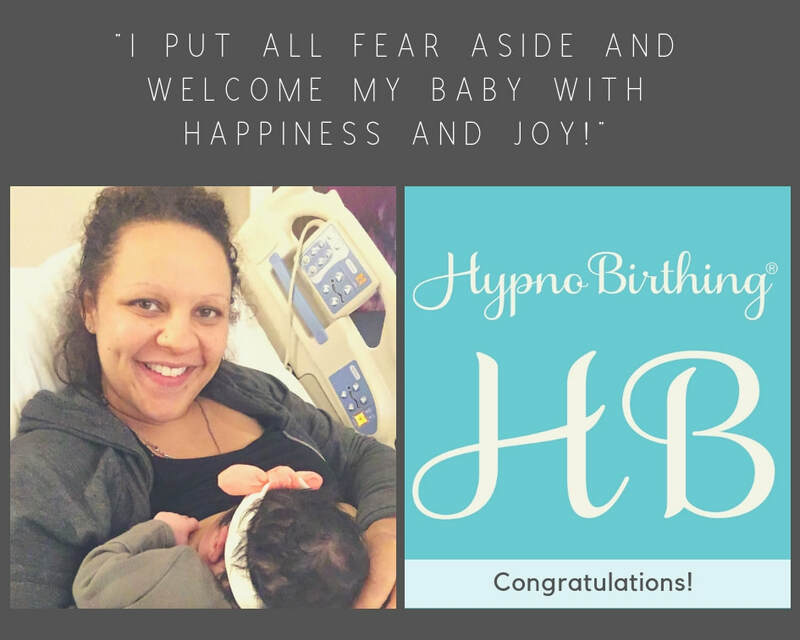 I am also proud of myself, and and so glad I chose HypnoBirthing®, because I believe it helped me have a WONDERFUL birth experience, despite all of the scary changes that I had to make!